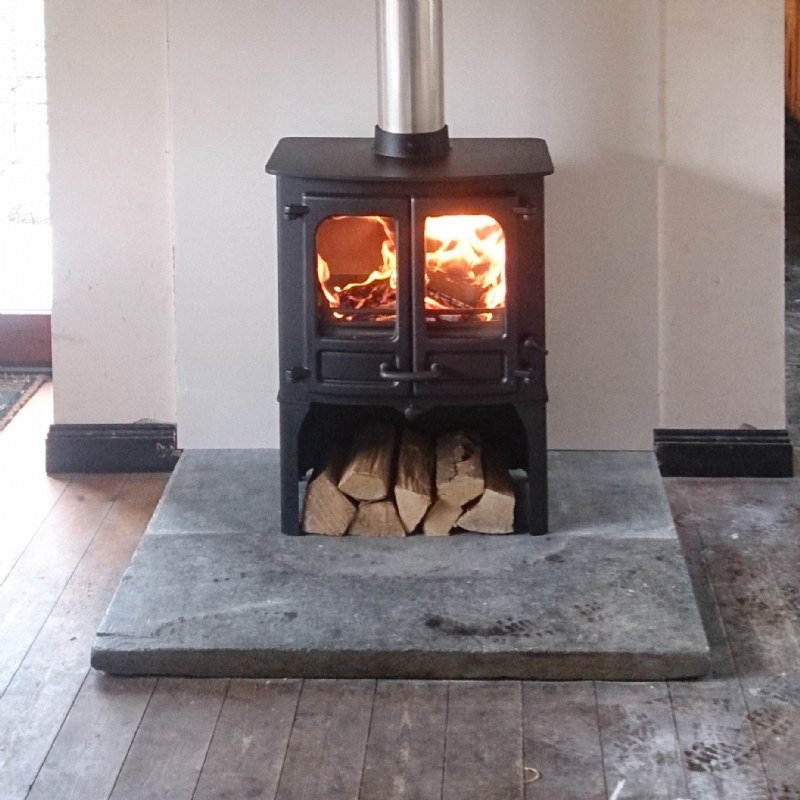 Charnwood Island II installation wood burning stove installation from Kernow Fires. 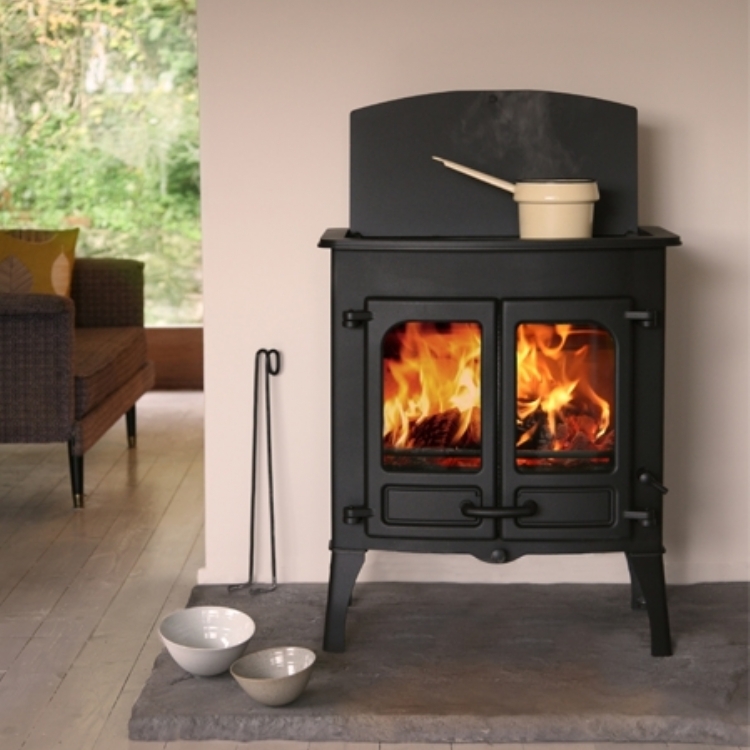 Customer Aspiration: Replacing the existing unsafe stove installation with a freestanding multi fuel stove contemporary stove. 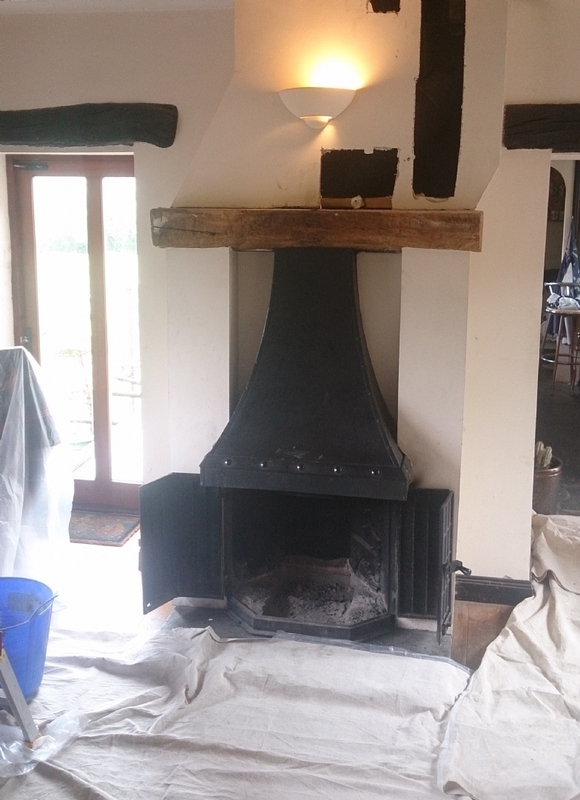 Special Requirements: Redesign of the chimney breast and flue system using a Twinwall flue system which will prevent the problems experienced by the customer with the previous installation. 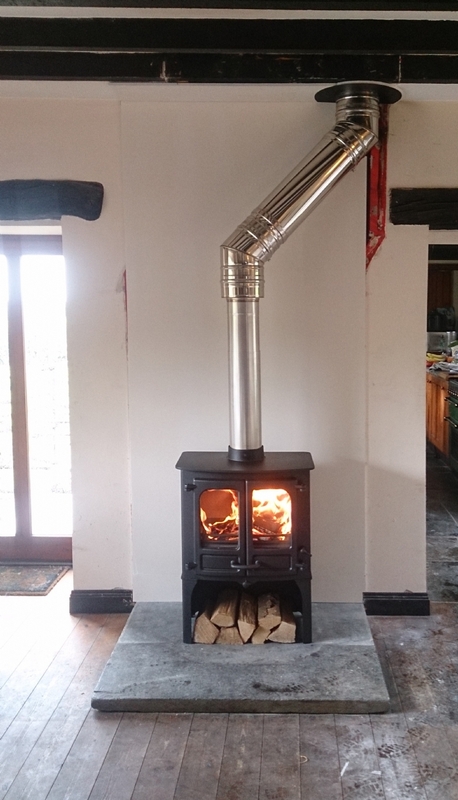 The new Charnwood Island II multifuel stove with the log stand is a simple traditional stove with a contemporary twist perfect for this home in Cornwall. 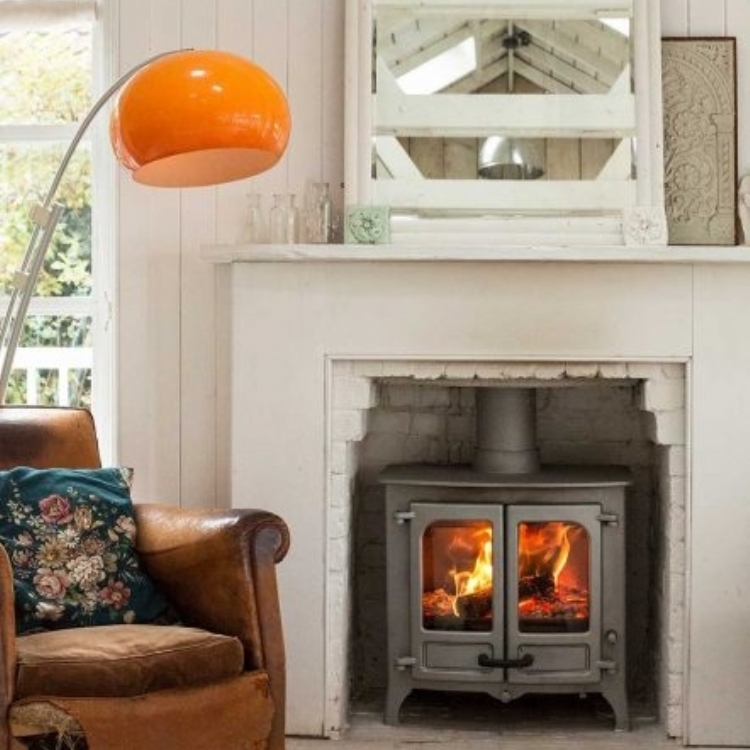 By replacing the traditional fireplace with a clean wall and freestanding stove the room is transformed. 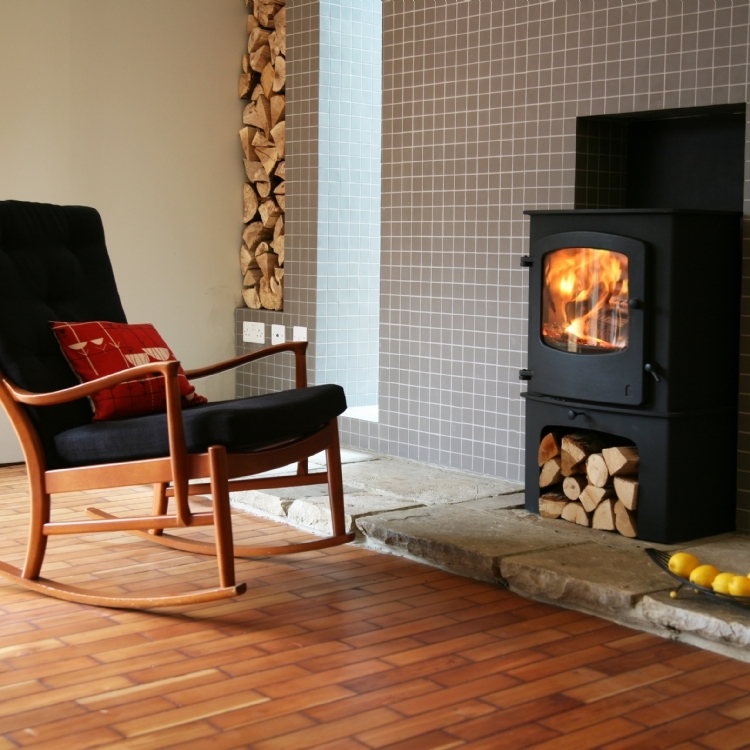 The riven slate hearth sits beautifully on the aged wooden floor and now, as well as looking lovely, is now toasty and warm.